Trees in Towns II reports on a study carried out for Communities and Local Government by ADAS and Myerscough College. 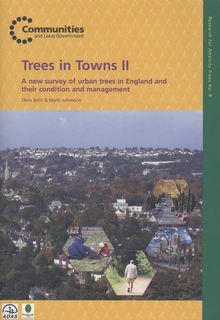 It asesses the quality and quantity of trees in urban areas in England and how this has changed since the original Trees in Towns was published in 1993. It also provides an anaylsis of local authorities' resources and policies for the planting and management of trees, and includes 12 case studies demonstrating good and innovative practice. 34pp. Executive summary as A4 paperback, plus CD. The CD is not available separately.